Increase your patient’s loyalty through direct and effective communication. Hundreds of videos in High Definition to explain the treatments suggested. 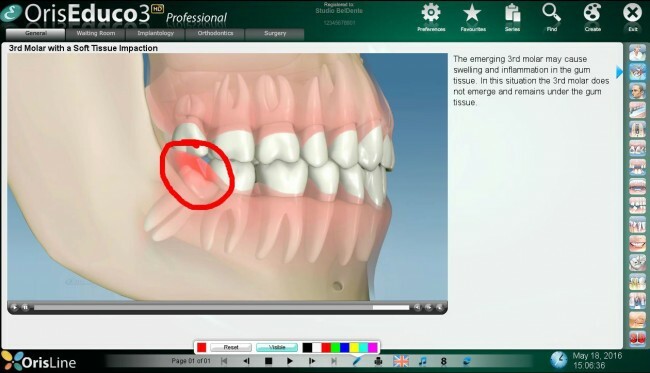 Learn more about the education software for dental practice OrisEduco 3HD. From the main menu you can select, in an easy and intuitive way, the category and the treatment video you are interested in. From the button “search” and “favourite” you can quickly select specific treatments for a better and efficient communication with your patient. More than 400 animations in high definition available for the most common treatments of each category. Provide your patients with useful information about the best techniques for a good oral hygiene. Even a child can understand, in a funny and easy way, the correct use of the dental floss and the toothbrush. 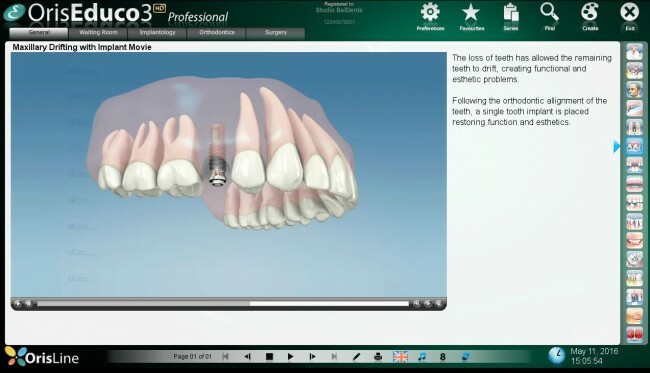 You can create customized presentations of hygiene to show in the waiting room, in order to offer your patients a unique and useful service. Address your patient towards the best choice. Show your patients all the advantages and disadvantages of the various treatments in order to solve their problems. For example, is it better to insert an implant or a bridge? There are many issues to be considered and your patient may not easily understand oral explanations or written documents. With the help of professional videos, instead, you save chairtime and explain concepts in a quick and easy way. 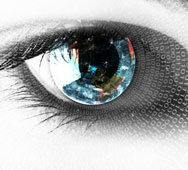 In the Waiting Room you can communicate with your patients creating a list of all the services your Practice can offer. The patients can display these services pressing on the Touch Screen. It is an easy and reliable tool of Direct Marketing that enhances quality and professionalism to your work, through images, texts, videos and audio. You can realize customized animation series to show in the Waiting Room, in order to educate your patients and promote the treatments. With the list of services you display your Practice, introduce your Staff, show the equipment and explain the treatments you can offer, in a clear and interactive way. During the explanation of a treatment or disease it may be necessary to pause briefly on some steps and highlight them with specific graphic tools. OrisEduco 3 HD already provides you with touch-up tools (pencil, brush, shapes and colours) that make the explanation more easy to understand. All the videos and animations are printable in colour.